A new limited edition print of 150 only. Signed & numbered by the artist, Image size 20”x 14” approx. 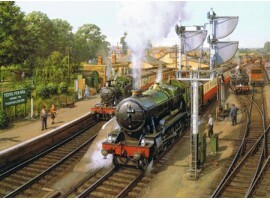 From a New Painting by Robin Pinnock, to commemorate the 150th anniversary of the opening of Yeovil Junction in 1860. 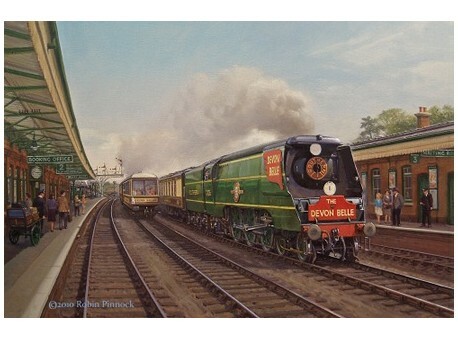 It’s the summer of 1947 and the Southern Railway has just introduced a new prestigious service the “Devon Belle”, complete with Pullman rolling stock and observation car. The locomotive 21C6 Peninsular & Oriental S.N.Co. 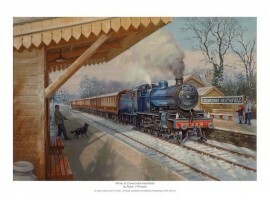 is running twenty minutes late and passes the up “Belle at Yeovil Junction. 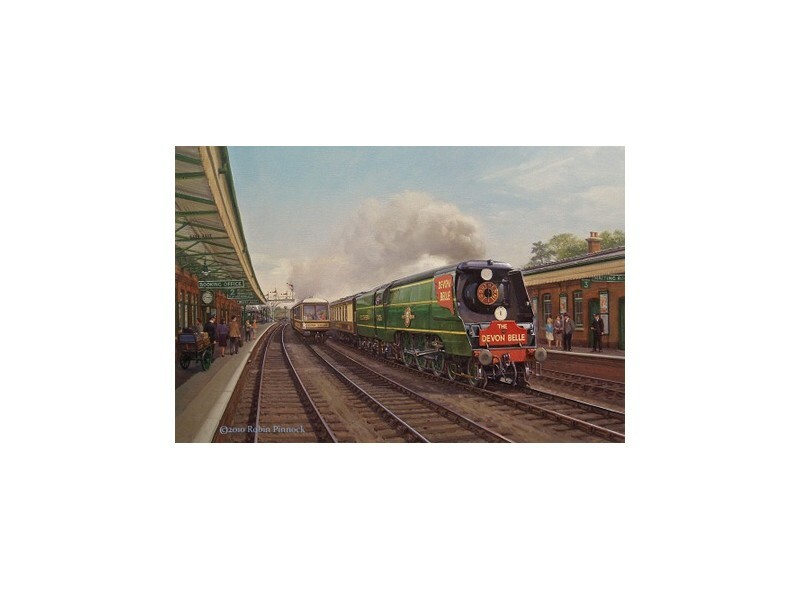 The service from Waterloo to Plymouth & Ilfracombe only lasted 8 short years with 1954 being its last year.